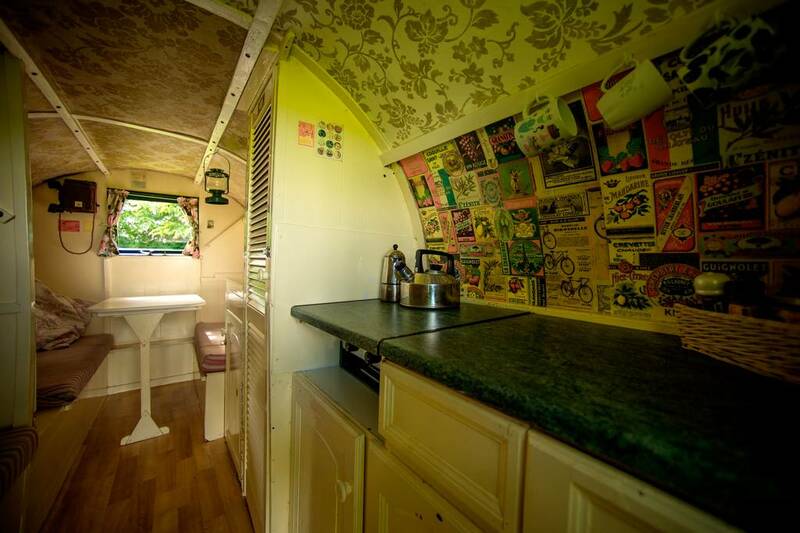 Charming old Irish gypsy caravans sleeps 4 people. 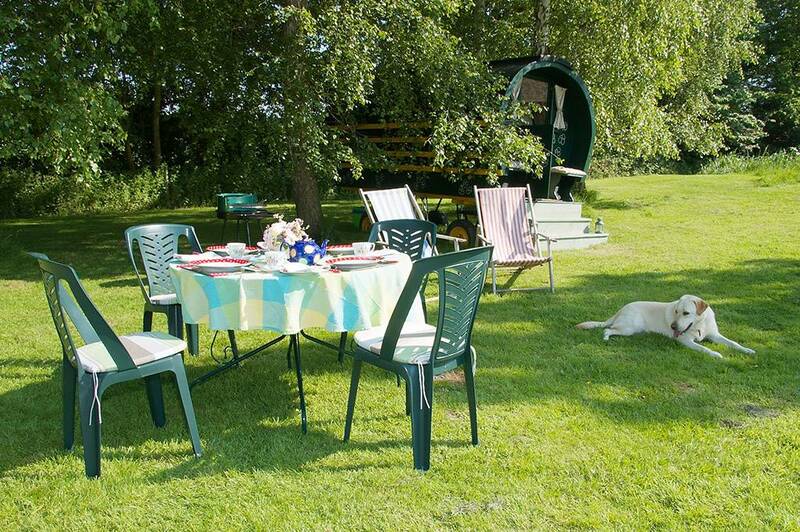 Our two gypsy caravans are just perfect for the ultimate in a glamping holiday. All you need to bring is yourselves, a change of clothes and your toothbrush! We have done the rest for you! 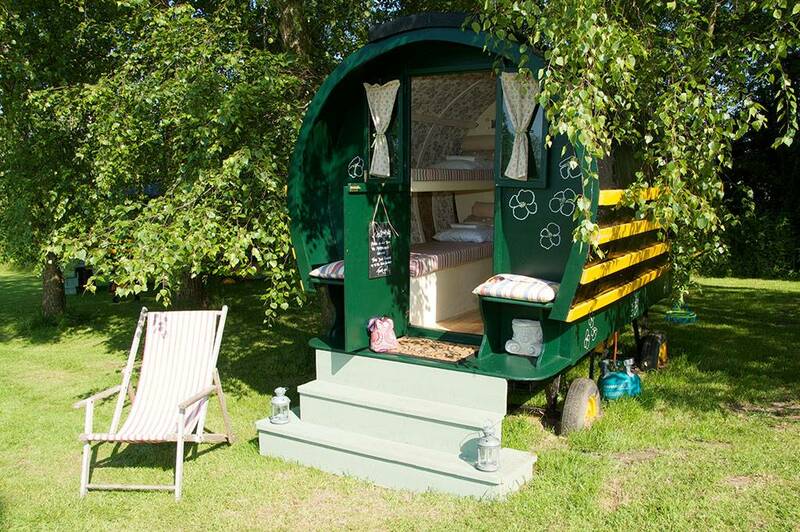 The roulottes are charming old Irish gypsy caravans which have been modified to fit in with all your creature comforts. 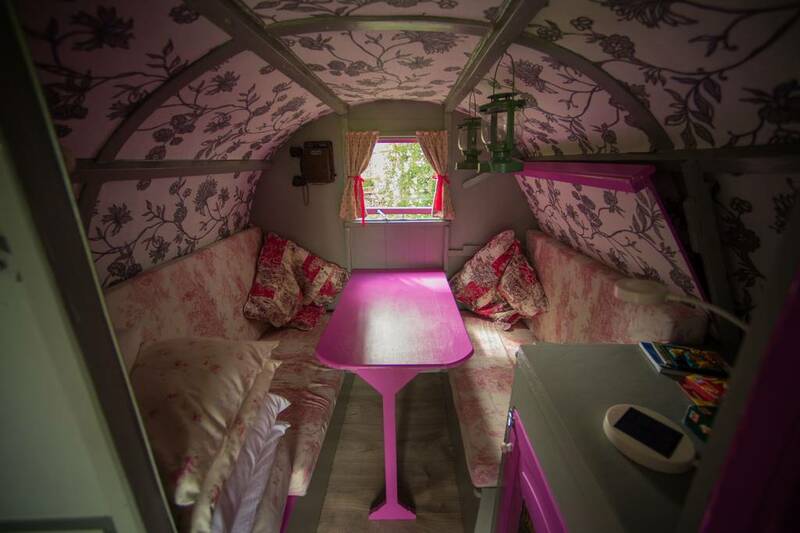 The roulottes can sleep up to 4 people plus a small berth for a toddler. There is a double bed, plus 2 single berths. The double bed converts into seating & dining during the day. For cooking there is a two ring gas burner stove plus all necessary cooking equipment. A cold box is provided which can be stored under the van along with a water container. There is a table, hanging space & cupboards. All linen & towels are provided. Tables & chairs are stored under the van plus a BBQ. Just like the campsite, there are no cars allowed on the camping areas so that there is a true out door feeling with nature & children can roam freely without having to worry. Cars are parked up in our orchard. 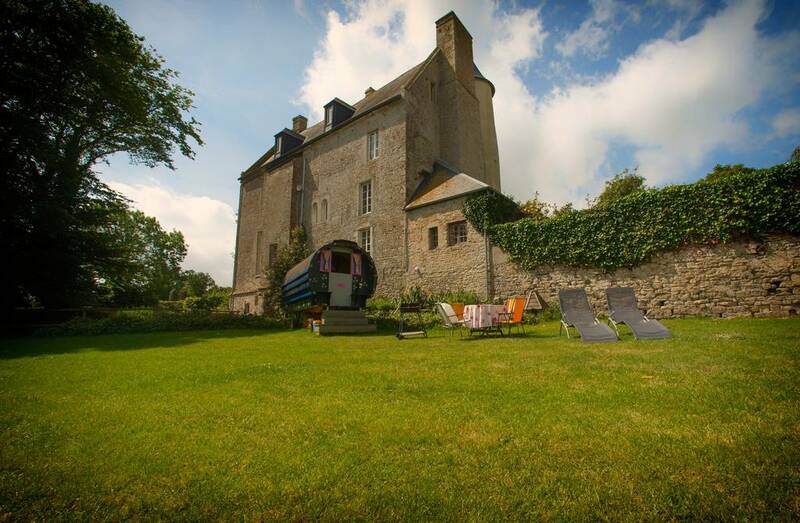 A bubberling hot-tub & natural swimming pond for the more ambitious are all inclusive of your stay at Chateau Monfreville. There are various bikes to borrow, a ping pong table and other ball games for use whilst here on your holidays. Hot showers, loos and wash up area are situated in the cellars of the chateau. These facilities are like no other – lovingly decorated with phone charge points and hairdryer points. A shared fridge freezer is also available. To make an inquiry, please go to the ‘contact us’ page.